We have an exciting opportunity for a Farm Manager to work at the Company’s Seawater site at Carradale. Carradale is the company’s largest site with a 5000-ton consent and fed from a state of the art 650-ton Akva Panoramic barge. We are currently looking to identify an Assistant Farm Manager to work at the Company’s Seawater site at Loch Duich. We are currently looking to identify a highly motivated individual to undertake the role of Farm Technician to work at the Company’s Seawater site at Cairidh. We are currently looking to identify a highly motivated individual to undertake the role of Farm Technician at our Ardnish Feeds Trial Unit at Lochailort. Marine Harvest (Scotland) Ltd is the largest supplier of high quality Scottish salmon and is part of the Marine Harvest Group. We are currently looking to identify a Skipper to work at the Company’s Seawater site at Colonsay. The site is serviced by a Gael Force 400-ton feed barge and the Beinn Eibhne, a Dutch built 21m workboat. 1.2 million smolt will arrive in late April, which will be the third cycle in this idyllic setting. We are currently looking to identify a highly motivated individual to undertake the role of Farm Technician to work at the Company’s Seawater site at PNG. This post is offered on a full time, permanent basis. 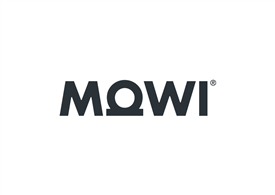 Get the latest jobs from Mowi Scotland sent direct to your inbox!